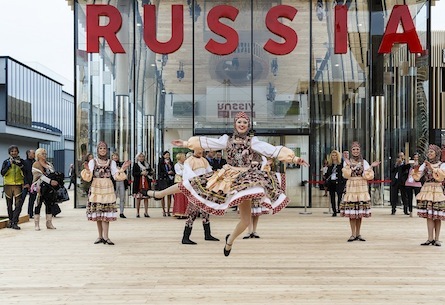 On Wednesday the Russian President Vladimir Putin visited the Italian Universal Exposition where he was greeted by Prime Minister Matteo Renzi before moving to Rome and the Vatican. Mr Putin did not miss the chance to remember everyone that the EU sanctions against Russia are costing Italy one billion euros, an estimate which was raised by the Catholic newspaper Tempi to three billions. Milan, the main city of Northern city and the virtual capital of Italy, is friendly territory for Mr Putin. It is the capital of Lombardy which, together with the Venetian, the other main region of Northern Italy, is administered by the Northern League. A formerly federalist, now largely rightist party, the League is emboldened by the results of the recent local elections, and is challenging the Government on popular issues like immigration. The party has long been an admirer of Mr Putin, who returns the affection, with Russian diplomats taking the floor at party events. Moreover, the League is, at least at the local level, an ally of Mr Berlusconi, who is a personal friend of Mr Putin. Tags: Berlusconi, Expo, Milan, Northern League, political right, Putin, Rome, Salvini, Vatican, visit. Bookmark the permalink.